3008b-F-1, CENTER CAP USED, FRONT GRAY, 90-94, FORD, GRAY FINISH. OPEN CENTER 5 PLASTIC CLIPS, STAR WIRE RING. 6-3/8" DIA. 3008bF-1, CENTER CAP USED, FRONT GRAY, 90-94, FORD, EXPLORE, BRONCO 11, RANGER, GRAY FINISH. OPEN CENTER 5 PLASTIC CLIPS WITH STAR WIRE RING. 6-3/8" DIA. 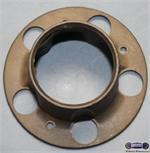 FOR A 15" RIM 3008bf-2= ROUND WIRE RING. 69189f, FRONT CENTER CAP USED, 69-83, TOYOTA, LAND CRUISER, PICKUP,[DOG DISH] METAL CAP, 6 CHROME SPOKES, 6 BLACK PAINTED POCKETS, OPEN CENTER, SNAP ON, 10-3/4 DIA. 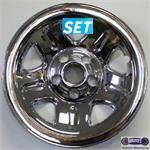 69305f-1, CENTER CAP FRONT USED, 86-94, TOYOTA, BLACK PLASTIC, OPEN CENTER, 6 LUG NUTS CUT OUT, 6 METAL CLIPS, 5" DIA. 74187, CENTER CAP USED, 18", 06-09, LEXUS, SC430, CHROME PLASTIC CAP, 5 LUG NUT HOLES, OPEN CENTER, 5 SPOKE, 5 PLASTIC CLIPS ON SPOKES, BOLT ON STYLE, 16-3/4" DIA.